Enter Elevate, a concept by carmaker Hyundai. We use the term “car” very loosely here, because Hyundai’s concept vehicle doesn’t have the conventional wheels. Instead, the concept “car” is more of a “walking car” with bendable legs. Seriously. When the legs are folded under the vehicle, the Elevate can travel at highway speeds, almost resembling a normal car. 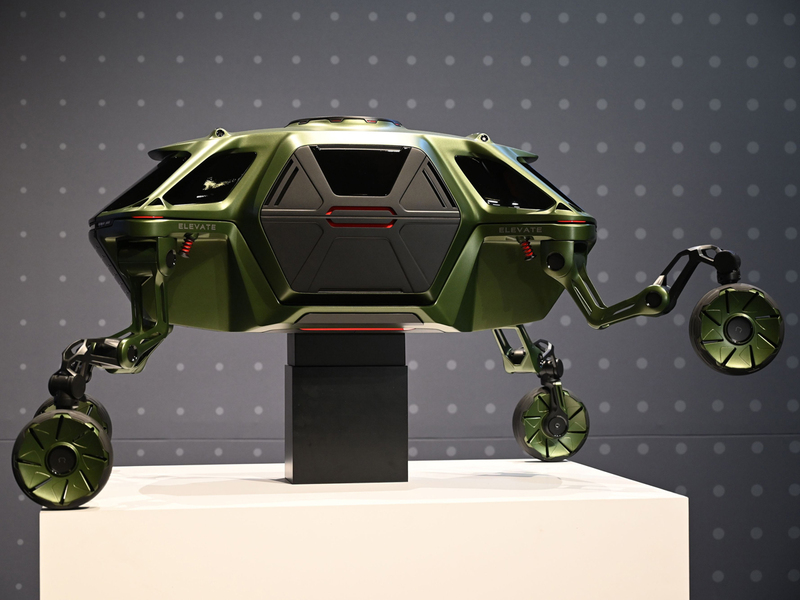 But it’s when Elevate unleashes its four “legs,” each with a series of joints, which brings the concept car to its full strength, enabling the vehicle to mimic both mammalian and reptilian walking. 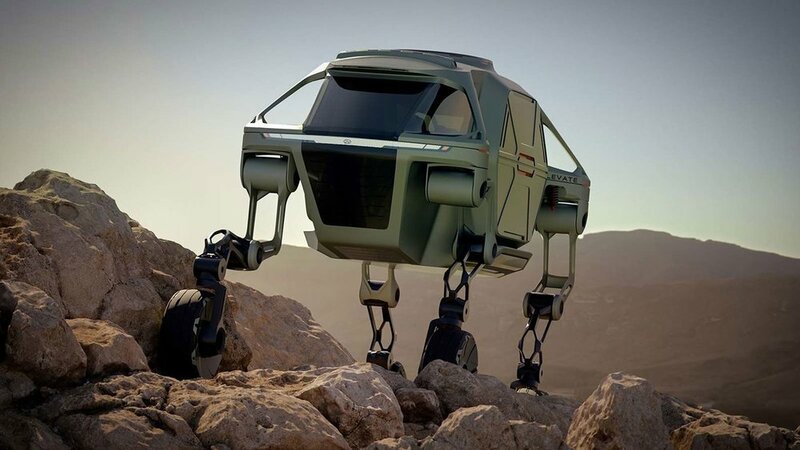 Also dubbed the Ultimate Mobility Vehicle, Hyundai says it designed it for first responders who need to access difficult terrain, like mountains, forests, or landscapes that are inaccessible by normal vehicles. 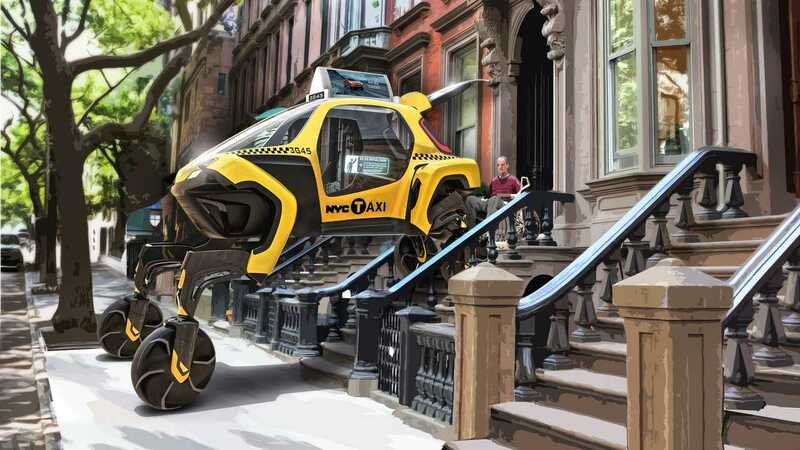 Elevate is also electrically powered and modular so it can swap vehicle bodies for a variety of use cases, trekking or climbing over difficult terrain, fording rivers, clambering over crumbled concrete, or even climbing stairs. “Imagine a car stranded in a snow ditch 10 feet off the highway being able to walk or climb back to the road,” says David Byron, design manager at Sundberg-Ferar, the Detroit-based design studio that worked with Hyundai to develop the concept. “By combining the power of robotics with Hyundai’s latest EV technology, Elevate has the ability to take people where no car has been before, and redefine our perception of vehicular freedom,” he continued. As of this time, Elevate remains a concept, without even a prototype to gawk at. Hyundai is also keeping mum on whether they are planning for Elevate to be fully autonomous or whether it would require a human to be controlling it. But if this concept is to be realized, it may just change the course of vehicular technology and the way people are transported. Do you think this concept car will become a reality soon? Leave a comment below!